Separate hostel facility for boys & girls available. 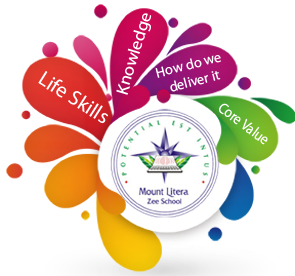 "Its not about how good your child is Its about what your child is good at "
The school belongs to the family of Zee schools, a noble endeavor by Zee Learn (a subsidiary of Zee Education Group) which has been in the domain of education since 1994. Zee learn aims to bring about a quantum improvement in school education. Zee Learn is a part of Essel Group Conglomerate with interest in diverse fields, such as entertainment (Zee TV) etc giving a turnover of Rs 16000 crores. Through their exclusive educational models, they have been helping children achieve their unique potential through a chain of Pre Schools, Schools and youth institutes. Zee learn today runs more than 60 Zee Schools and 750 Zee Pre-Schools under the brand name Kid zee. 1, 00,000+ children have been nurtured in their Pre Schools. Zee Learn has trained our 10,000 early childhood educators, nurturing them to be teachers, enabling them to have a fulfilling career!